Your travel medicine provider will issue you an International Vaccination book as a record of your yellow fever vaccination. 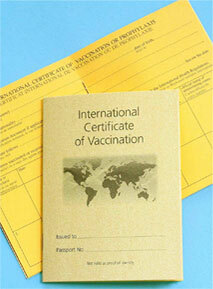 You should store this vaccination book safely with your passport. The Yellow Fever certificate is valid for life for most persons vaccinated. Designated Medical practitioners: link to register for YFGEN here ( password required ).